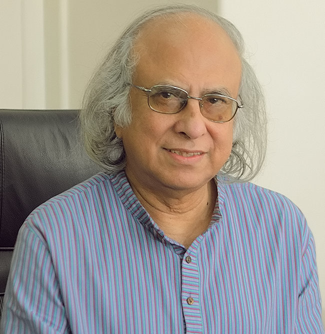 A renowned economist, Dr. Qazi Kholiquzzaman Ahmad is currently the chairman of the PKSF. He has been keenly promoting sustainable development in all its aspects for decades. He is also currently the chairman of the Governing Council of Dhaka School of Economics. He is a former president of Bangladesh Economic Association (BEA) and the founder chairman of Bangladesh Unnayan Parishad (BUP). He was president of the Kuala Lumpur-based Association of Development Research and Training Institutes of Asia and the Pacific (ADIPA) and vice-president of the Rome-based Society for International Development (SID). He was awarded the Ekushey Padak by the Government of Bangladesh in 2009. He was a member of the Intergovernmental Panel on Climate Change (IPCC) team that won the Nobel Peace Prize in 2007. He has to his credit 34 books and over 200 learned articles published at home and abroad.